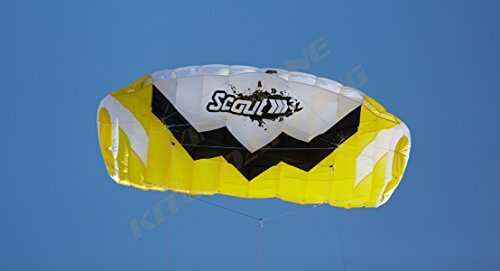 HQ Scout III 3M: The HQ Scout III 3M provides unmatched quality, performance, and durability in a fixed bridle 3-Line Control Bar Foil Kite.. with amazing levels of performance and fun.. 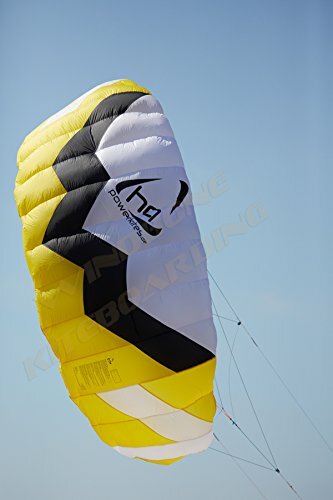 Perfect Entry Level Foil Kite for Kiteboarding, Landboarding, ATB Mountainboarding, Traction, and general power kiting fun.. at an affordable price point.. 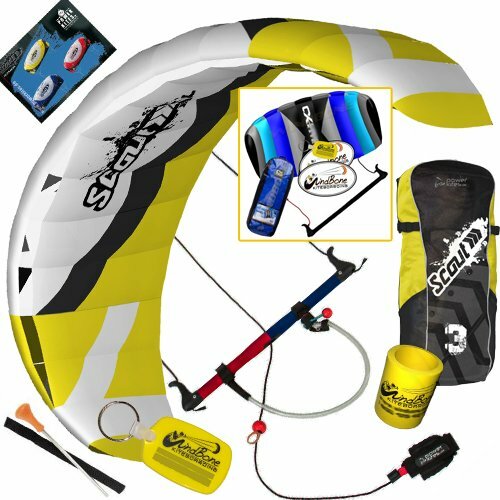 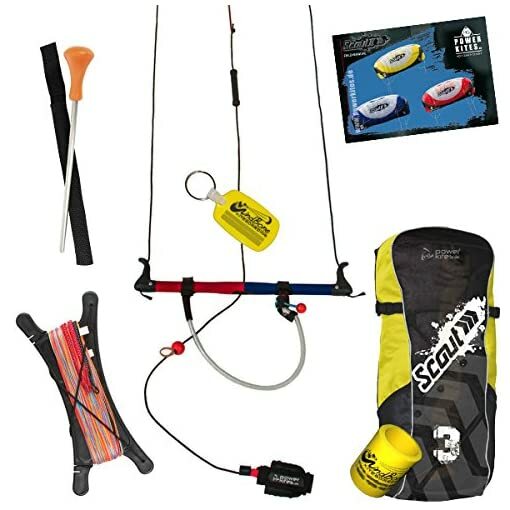 The newly designed HQ Scout III delivers a high quality but affordable package for the entry into the world of traction kiting. 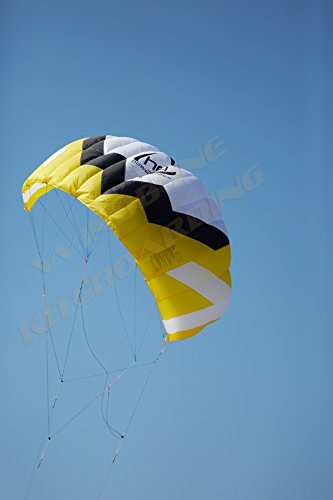 The flying characteristics of the Scout III are uncompromisingly focused to the needs of beginner to intermediate and pilots seeking for a quick experience of success with a kite on a bar. 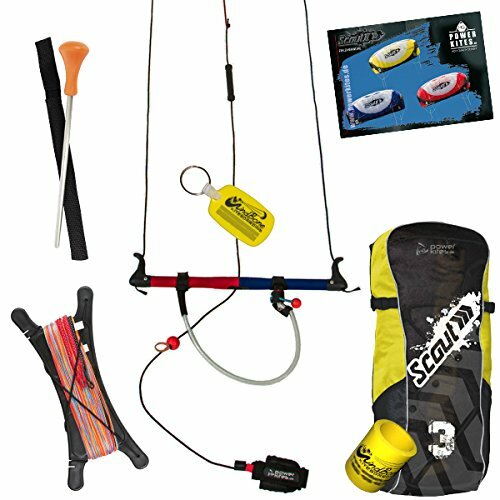 Performance and turning speed were significantly improved in the HQ Scout III. 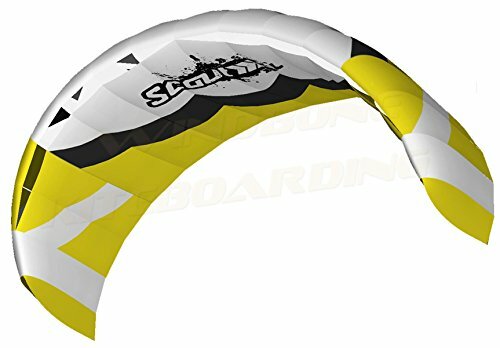 The Scout III guarantees you always will be safe out on your board or skis. The HQ Scout Power Foil Kite provides loads of easy handling fun for beginners and advanced pilots alike. 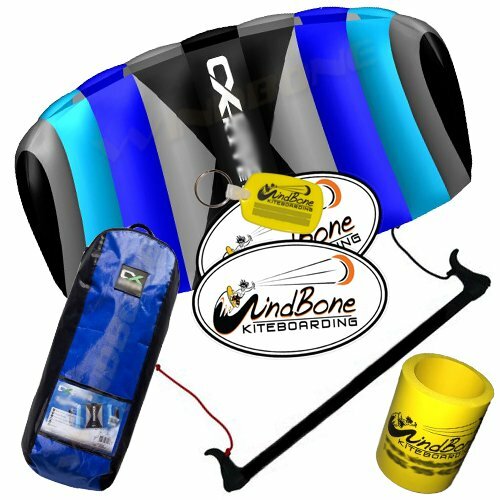 WindBone Kiteboarding Lifestyle Koozy Beverage Holder Cooler: Keep your beverage cool and hands warm in WBK WindBone style.